Get the SamKnows Test Kit. Test your fixed, mobile, and Wi-Fi connections wherever you are. Track your results. Find faults fast. And share them with your ISP to help restore good internet. Trusted by engineers worldwide as the most accurate way to measure your internet performance. 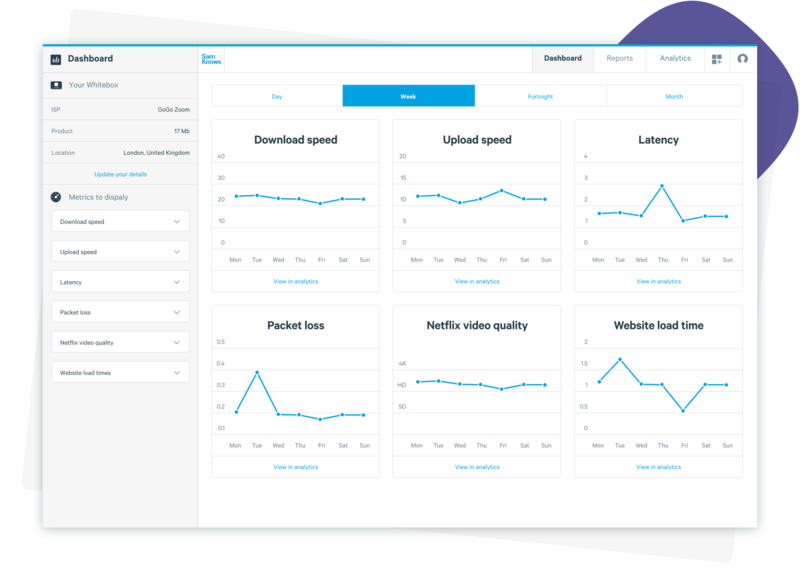 The Whitebox measures your fixed internet, using the same software as ISPs in tens of millions of homes. It runs scheduled tests - but only when you're not using the internet. Easy to install. Simply connect the Whitebox to your router and leave it be. 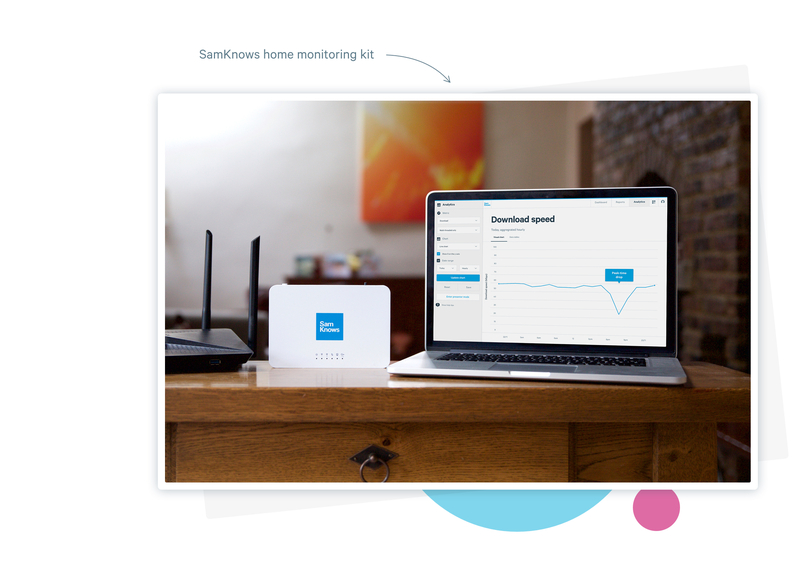 Optimise your connection over time with the data you collect in SamKnows One. All the data from your Whitebox is safely stored in our colourful, cloud-based analytics system: SamKnows One. Visualise your internet performance over time. Track trends. Spot problems. And use simple tools for complex analysis. Download the SamKnows app today. It’s free! Test your mobile and Wi-Fi connection with our full suite of mobile tests. Any network, any time, any place. And get answers straight away – even in poor network conditions. You can also access your Whitebox results in SamKnows One from the app. So you can check what’s going on at home, even when you’re not at home. You're on a video call. The picture freezes. What's going on? SamKnows One shows you your download speeds are fine. But there's a sudden spike in packet loss. Sadly, we can't fix this for you. But you can share your data with your ISP to get it fixed. And track how long it takes. Patchy video callsWe’ve all experienced patchy video calls, find out why with SamKnows One. Am I getting what I pay for? Sign up for a free Whitebox. If your location, ISP, and package fit the sample we're measuring, we'll let you know to confirm your interest. Track your results over time and send a report to your ISP if you have a problem. Your anonymous data will contribute to large-scale, nationwide studies of internet performance. ISPs and regulators can then use this data to understand the current state of the internet, and how to make it better. It’s simple to sign up, and easy to make a big difference.